I am of the opinion that buy to let investment in Runcorn, in the long-term, will bring substantial returns for landlords, irrespective of latest regulation and tax changes. Taking a very conservative (with a small ‘c’) view, I believe landlords will see a projected net profit of £186,585 per property over the next 25 years through capital gains and rental. When inflation is taken into account that works out at £109,899 (in today’s money) or around £4,396 per year. The breakdown applies to a basic tax-paying landlord placing a characteristic 25% deposit on a £103,700 terraced/town house property. Capital gains make up a substantial part of a landlord’s returns. Again, being conservative, I have assumed that Runcorn house prices over the next quarter century (between 2018 and 2043) will rise at half the rate they did between 1993 and 2018 (the preceding 25 years). Therefore the example Runcorn property in the previous paragraph would grow in value to £209,318, providing gross capital gains of £105,618. 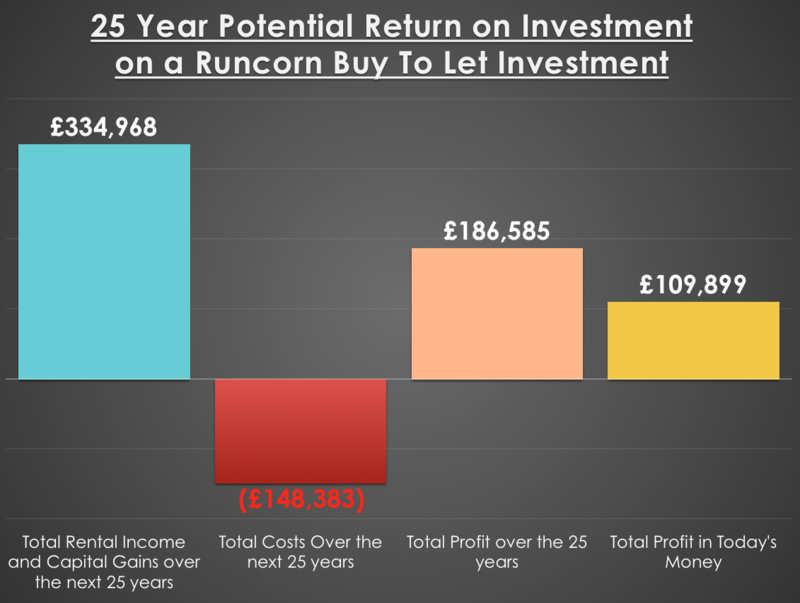 A typical Runcorn landlord receives, on average, rent of £6,000 per annum per terraced/townhouse property and so, over a 25-year period, that example property would generate a total rental income of £229,350 (again – very conservatively assuming a compound annual growth rate in the rent of 1.71% per annum). Nevertheless, there are costs to running a buy to let property (mortgages, void periods, repairs, agents fees etc) and over those same 25 years, I have estimated that to be £148,383, giving the net profit levels mentioned in the second paragraph. Now, of course, I have had to make assumptions to reach these figures, yet I hope you would agree, I have been very unadventurous with my assumptions. The Runcorn (and UK as a whole) buy to let property market is experiencing a massive sea of change. Regulation and tax changes have altered the dynamic in the property market, diminishing its appeal to inexperienced and amateur landlords, and these new tax changes mean higher tax bills for higher rate tax landlords. 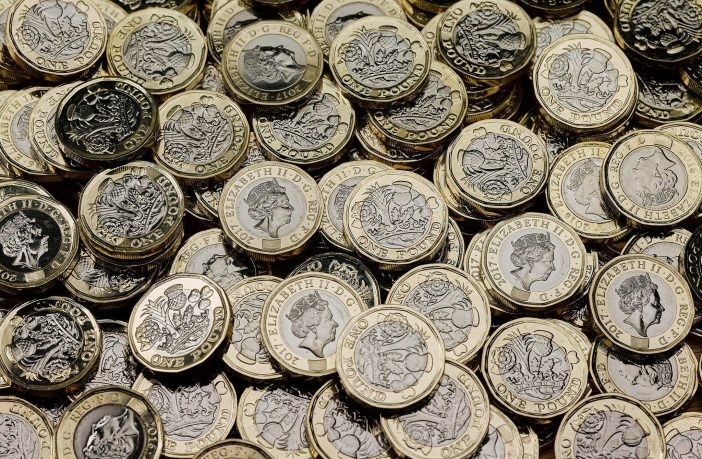 Yet, despite these rising costs, there are still healthy returns to be found in Runcorn buy to let investment for knowledgeable and steadfast landlords. Nonetheless, the days of anything making money and idle speculation are long gone. Buy to let is a long-term business undertaking, necessitating commitment and expertise. Don’t put your head in the sand and think it doesn’t affect you. 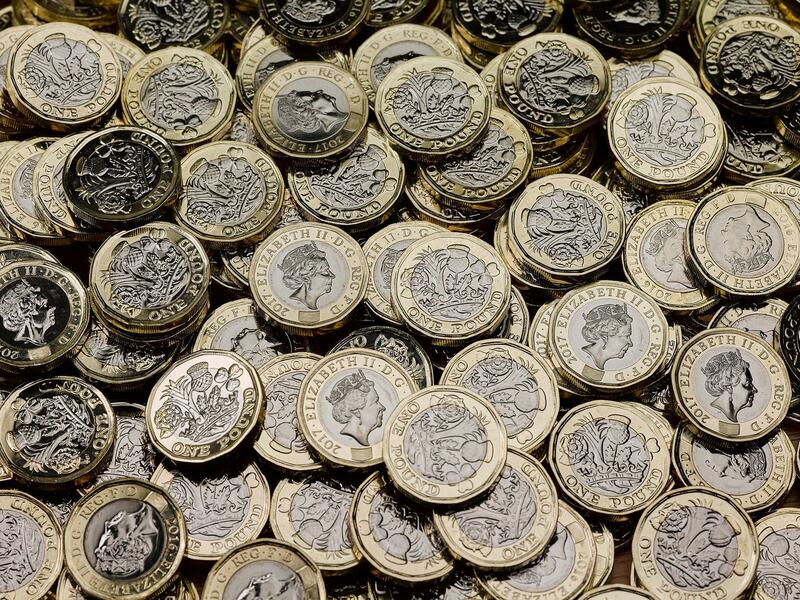 Runcorn buy to let landlords must be equipped to start business and tax planning, take portfolio management advice to ensure their investments will meet their investment goals, appreciate the risks as well as the rewards, and, most crucially, the obligations they have towards their tenants. If you are a Runcorn landlord, irrespective of whether you are a client of mine or another agent (or even you do it yourself), feel free to drop me a line or pop into the office for an informal chat on the future direction of the Runcorn rental market and where opportunities may lie.